Alt-electronic artist Must Be The Holy Ghost has announced that his new EP, Overflow, will be out 9/16 via Cardian Records. His first single, “Melt Down”, along with the accompanying video can be found below. 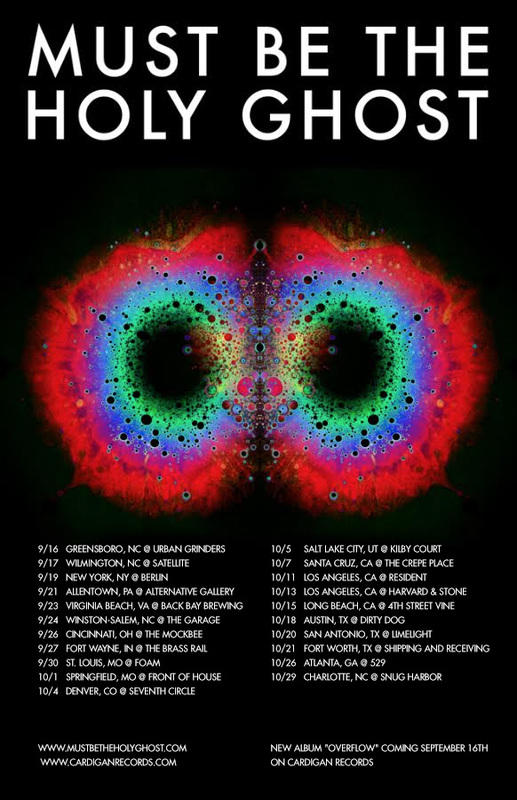 Additionally, there will be a chance to see the liquid light show in action on the upcoming EP release tour; dates below.